This week sees the end of Becky’s first year at school, and boy, what a year it’s been! 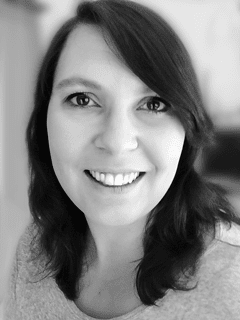 There are so many things that Becky and I had to learn and adapt to – but we’ve had a good old ride and are now looking forward to the summer holidays and relaxing a little as a family, taking a break from our strict routines and a hectic school schedule. There have been lots of revelations over the last ten months or so when it comes to school life, but one of the biggest light bulb moments has been the realisation that it’s not just the kids who form their little groups and cliques, but that us school mums, too, seek out our certain “School Mummy Tribes”. 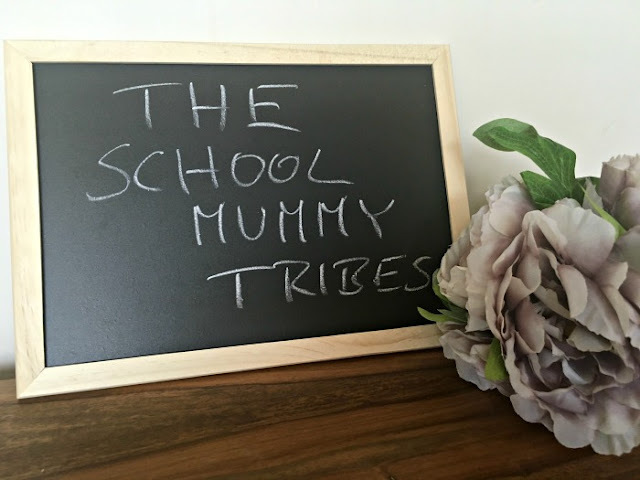 So I’ve compiled my run-down of the School Mummy Tribes that I've come across – and I know which one(s) I belong to! Especially in the early days, when everything about school and the new routine is alien and rather scary, but in fact throughout the whole year, your existing Mummy friends are essential allies amidst the general chaos of school life. You might already know them from nursery, or you’re neighbours, or your kids go to the same clubs etc, and the fact that they are now going to reception and starting this epic academic journey together brings you closer, too. Your Mummy friends are always on hand to give you support and a sympathetic smile when you got the day wrong for when the Library bag had to be handed in, or forgot the milk money – again! – or sent your child to school in uniform on a non-uniform day (Ooops!). They will always stop for a quick hello, a little catch-up / gossip, and they are the one key tribe that keeps you sane and grounded. It’s the Mums who have older kids already and have literally been there, done it and bought the T-shirt. You quickly bond over the never ending source of advice and tips that they are patiently handing out to the insecure Newbie School Mum, and they are an endless fountain of knowledge about all things school-related - especially when the Library bag has to be handed in, when the milk money is due and when NOT to send your kid to school in uniform on a non-uniform day. They also provide reassurance that things will eventually calm down and that you’ll end up getting to grips with the school run and its perils. You see them every morning, the gaggle of slightly stressed and frazzled looking Mummies (including myself), frantically trying to shove their – excruciatingly slow! *seriously, what is it with kids and no sense of urgency! * – sprog into the classroom to rush off to their meeting / conference call / catch a train to XYZ. Knowing glances and quick hellos are exchanged as we pass like ships in the harbour, and we don’t have to say it out loud to know that this mummy, too, is secretly wondering when is an acceptable time to crack open a bottle of wine – and whether 9am really is a tad too early. In total contrast to the perpetually ever so slightly stressed working Mum, the stay-at-home Mums are a picture of calm and always seem like they totally have their shiz together at all times. They always have time to chat to the teacher, and they have formed their own friendship group, meeting up for play dates and helping out at school with reading afternoons or school trips. And sometimes, just sometimes, they leave you a tiny bit envious as to the hands-on involvement they seem to have in their kids’ academic life while you frantically try to fit in the parents evening or phonics briefing into your packed work schedule. Now this Mummy Tribe baffles me on a daily basis. I know you can’t be friends with everybody, but considering that you see the same faces day in, day out at the school gates – and will continue to do so for the next decade and more – you’d think an ever so slight acknowledgement of one’s existence wouldn’t be too much to ask. But no – the Look-Away-Mum literally, err, looks away, when met with a friendly hello, and blanks you. Just like that. I don’t know whether it’s shyness, ignorance or arrogance or a mixture of all three, but surely it’s just common courtesy to say hello back?! In the first few months I would walk to school and greet every single parent I passed with a smile and a “Hello” / “Morning” / “Hiya”. But, over time, as my patience and determination was more and more eroded, and just short of continuing to make an utter fool of myself, I stopped. Now I say hello to the people I know or who I know say hello back, and I blank the ones who don’t. And even though it goes against both my better judgment and my good upbringing, at least it saves me from looking like a complete loon talking and smiling to myself outside the school gates. I’ve officially given up trying to befriend the Look-Away-Mums. Awkward as the situation may be. On the other end of the scale, however, there are the Mummies that you have singled out as potential friend material. You’ve eyed each other up, exchanged friendly hellos and jovial small-talk and banter, and you’ve sussed that you are very much all on one wavelength. And then, one day, the great thing happens, and one of the Wannabe-friends-with-Mums makes the first step and organises a piss-up meet-up in the pub, and you bond over vino and tales of forgetting milk money / library bags and sending your kid to school in uniform on a non-uniform day. And it’s the beginning of a wonderful friendship - hopefully for years to come.